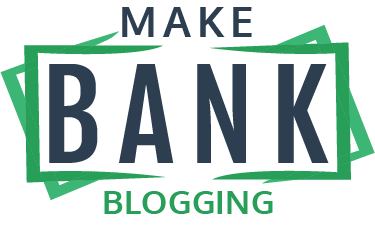 By accessing, downloading, installing, or using the makebankblogging.com, whether or not you become a registered user (“User”, “You”, “Yourself”, “Your”), You agree to be bound by these Terms, as they may be amended bymakebankblogging.com (“Company”) from time to time, which You acknowledge that You have read and understood. We reserve the right, at Our sole discretion, to change, modify or otherwise alter these Terms at any time. You must review these Terms at https://makebankblogging.com/terms-conditions/ on a regular basis to keep Yourself informed of any changes. You expressly waive your right to bring any legal claims, now or in the future arising out of or related to the website and our products/services. In the event of any dispute, claim or controversy arising out of or relating to your use of this website, the terms and conditions shall be construed in accordance with the rules and regulations of the state of Washington and United States. You agree to consent and submit to the jurisdiction of the state and federal courts located in Seattle, Washington without regard to the principles of conflict of law or where the parties are located at the time a dispute arises. You agree to resolve any disputes or claims first through mandatory arbitration in the state of Washington and shall bear the full cost of arbitration as permitted by law. Your good faith participation in arbitration is a condition precedent to pursuing any other legal or equitable remedies available such as litigation or any other legal procedure. You also agree that in the event a legal claim is initiated after the required arbitration, the prevailing party shall be entitled to recover reasonable attorney’s fees and other costs associated with the legal action. All contents of Site or Service are: Copyright © 2018 Make Bank Blogging 1620 Grove St Marysville WA 98270. All rights reserved. The Site is controlled and operated by Company from its offices in the State of Texas. The domain of the website is registered in the United States and the Site is hosted in the United States. The intended audience for this site consists of individuals in the United States only. Company makes no representation that any of the materials or the services to which you have been given access are available or appropriate for use in other locations (including the European Union as detailed in the General Data Protection Regulation). Furthermore, his website does not envisage offering goods or services to individuals living in the European Union as detailed in the General Data Protection Regulation. In addition, the information presented and associated with this website is intended for individuals that reside in the United States only. Company reserves the right to amend these Terms. Should Company seek to make such an amendment and we, in our sole discretion, consider the amendment to be material in nature, we shall: (a) Clearly publish on the home page the fact an amendment is being made. You may contact us to discuss and contact information so you may discuss the proposed changes with us. Should a court of competent jurisdiction rule this Amendment provision invalid, then this Amendment clause shall be terminated as part of this agreement with the agreement between us reverting to the previous set of terms applicable to the website. All amendments to the Terms shall be forward-looking.